This article first appeared in Personal Wealth, The Edge Malaysia Weekly, on April 3, 2017 - April 09, 2017. Investors need to seek opportunities in other markets as developed market bonds and equities will no longer give them the returns they are looking for, given the current low-return environment that is not expected to change in the foreseeable future. 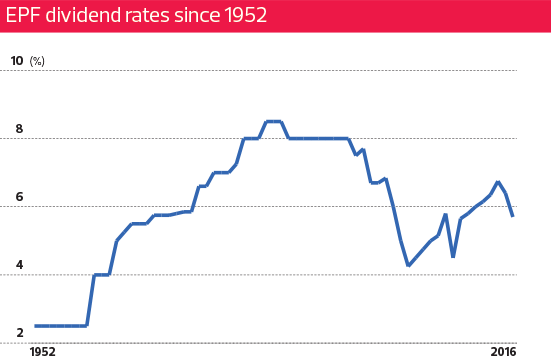 BlackRock, the world’s biggest asset manager, says in its 2017 Global Investment Outlook that the global economy’s capacity for rapid growth is dented because of ageing populations, weak productivity growth and excess savings. Goldman Sachs says in its 2017 Investment Outlook that it expects low returns from traditional exposures such as equities, credits and rates given three factors — elevated evaluations, limited upside for corporate earnings from current levels and limits to economic growth potential. An extended period of low returns means that investors need a longer period to accumulate savings for their retirement. Personal Wealth speaks to financial planners about their strategies for negotiating these treacherous waters. Local financial planners do not see the low-yield environment as a hindrance to retirement planning. They say all investors need to do is look for other opportunities. 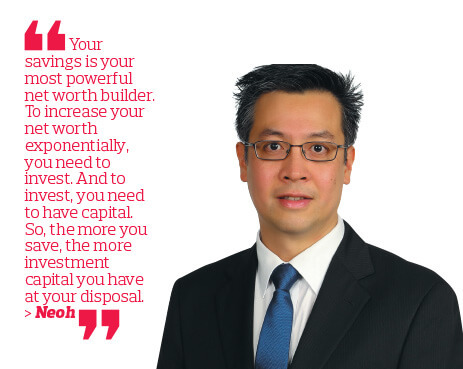 Gavin Teoh, advisory and practice director at Standard Financial Adviser Sdn Bhd, believes that retirement planning must continue regardless of the market conditions. However, before recommending any strategies to his clients, he needs to manage their behaviour. “By end-2015, I observed that many clients dared not invest. Only aggressive investors were still going ahead. To a layman, volatility and uncertainty correlate heavily with feelings. Therefore, some actually divest themselves of their investments and reinvest the money in properties, which they are more familiar with,” he says. Felix Neoh, vice-president of client advisory at Whitman Independent Advisors Sdn Bhd, says the negative sentiment is overblown. “Questions such as ‘Are we transitioning into a period of extended poor returns?’ or ‘Is market volatility expected to rise?’ are nothing new. We have been here before and we will be here again. “The global, regional and local markets have rallied since November last year. The US markets are at an all-time high — the Dow Jones Industrial Average is above 20,000 points while the broader S&P 500 index is above 2,300 points — pulling most global markets along the same positive trajectory. Even our FBM KLCI is hovering at the 1,700-point level. Neoh says if the money in your Employees Provident Fund account is your only source of retirement savings, then the downward trend in EPF dividends would be a concern. As it is, in 2015, two-thirds of EPF members aged 54 had less than RM50,000 in their accounts — way below the official minimum target of RM228,000 at age 55 set by the provident fund for its members. With dwindling dividends, escalating healthcare costs and inflation, these savings will disappear sooner than intended. Thus, he says, if a financial planner knows how to properly rebalance their clients’ portfolios according to the market and can help clients see that long-term investing, say a minimum of 10 years, is a good period for them to lock in a particular strategy, then the current market does not mean anything. Whatever the market situation, the client’s risk tolerance and appetite must be taken into consideration. Financial planners must also consider their clients’ wealth, says Teoh. “For instance, before 2015, I would recommend a 20% to 35% allocation to local equities. This included blue chips with the option of small-cap funds, as per clients’ risk tolerance. But after the drop in oil prices and other black swan events, I reduced the allocation for local equities to 15% and increased the allocation for regional (Asia) and global equities or equity income. Whatever the asset allocation is, it must reflect the client’s investment philosophy,” he says. Teoh says he is not averse to local equities as one needs to have these stocks in their portfolio. “There is no forex risk with this and retirement is usually planned in the local context. Also, I believe that Malaysia is a defensive market and it is resilient. One strategy that investors can employ is buy into local funds or assets in the construction, plantation and export sectors as they are anticipated to do well this year, he adds. Neoh says the Pareto principle (80% of the results come from 20% of the investments) only holds true to a certain extent. “This principle is more suitable for conservative investors who wish to preserve their portfolio value or grow their portfolio at a slower but more stable pace, rather than grow the value of their investments over time. “Say a Pareto-based portfolio generates an annualised return of only 4% per annum. It would take 18 years to double his investment. But with a diversified portfolio that matches his risk profile, a balanced investor could receive an annualised return of 8% per annum, thereby enabling him to double his money in just nine years. In more challenging market conditions, investors may opt to increase their holdings of defensive investments as a tactical move over a shorter period, says Neoh. But over the long term, they should remain true to their risk profile and utilise an asset allocation strategy that matches their risk tolerance. According to the Private Pension Administrator Malaysia, which oversees the Private Retirement Scheme (PRS), investors who are a long way from retirement should save one-third of their monthly income now to achieve two-thirds replacement income after retiring at age 60. “If one contributes 11% of his salary to the EPF, then he should save at least another 22% for other investments. However, if you are only starting to save for retirement in your forties or fifties, then expect to save a much higher amount to achieve the two-thirds replacement income goal,” says Neoh. He also recommends that working youths aged 20 to 30 should take advantage of the PRS Youth Incentive. Under Budget 2017, youths who contribute RM1,000 to the PRS in these two years will receive an incentive of RM1,000 from the government. Meanwhile, EPF contributors can take advantage of the Members Investment Scheme to invest in approved funds to boost their overall retirement savings. “This is a golden opportunity for Malaysians to invest in approved foreign funds to increase their holdings in foreign assets and reduce their bias towards Malaysian-centric investments,” says Neoh. 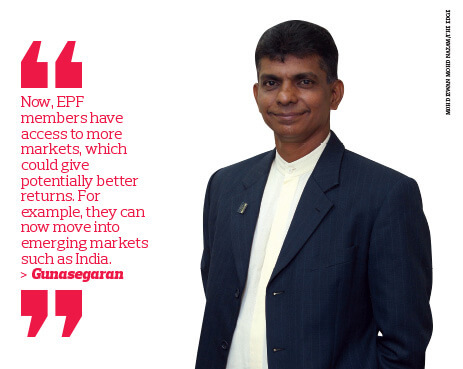 Gunasegaran advises older investors to seek funds from abroad, especially emerging market ones. “In terms of targeted returns, when a return target of 10% is not achievable locally, go offshore where the markets are performing better. Some of the markets, such as emerging markets, are giving very good returns,” he says. Alfred Sek, managing director of Excellente Consultancy Sdn Bhd and president of the Association of Financial Advisers, says he also prefers investing in emerging markets as there is more potential for growth. “For example, India is growing and it has a huge population. Telecommunications company Reliance Jio Infocomm Ltd managed to secure 100 million subscribers in just 170 days. You cannot achieve this quantum in Malaysia. Neoh says four factors must be taken into consideration if you want to grow your wealth — increase your savings, increase the return on investment, reduce investment risk and reduce cost or expenditure. “Your savings is your most powerful net worth builder. To increase your net worth exponentially, you need to invest. And to invest, you need to have capital. So, the more you save, the more investment capital you have at your disposal,” he says. “The higher the return on investment, the faster your net worth will grow. Employ effective investment strategies to diversify your investment portfolio to achieve targeted returns while reducing the volatility of investments. “While you are taking active steps to grow your net worth, you also need to take measures to mitigate any risks of losing what you have already accumulated. Investors need to mindful of the different levels of risks they are exposed to and take the time to do research on the options available before parting with their hard-earned money. Sek believes that one needs to save regardless of the market conditions. “Do not have the perception that you should only save when market conditions are bad. Make it a habit to save in good times and bad. Whatever it is, it depends on how much you earn and your commitments,” he says. In light of these circumstances, having multiple streams of income is beneficial as it provides an additional source of investment capital. Gunasegaran says the surplus from additional streams of income is the key to having a great retirement nest egg. “Investors should seek multiple sources of income that will help them increase or double their savings for their investment accumulation strategy. I believe this is the key to having a great retirement lifestyle,” he says. Neoh says employees must take into consideration their employers’ policies and views with regards to this. “I think the guiding principle is that these activities should not encroach on company time or be at the expense of company resources, or result in any conflicts of interest. If it meets this principle, then my personal view is that it should not be an issue. “Nevertheless, I feel that perhaps it is timely for the government/Ministry of Human Resources to step in to formalise this. After all, it is a growing trend and the reality is that many Malaysians will find it difficult to rely on a single source of income. As the ageing population increases, financial planners think there will be a corresponding rise in annuity products as well as the need for elderly care. Teoh says in Japan, which has the highest number of elderly in the world, insurance companies are involved in aged care. “So, when the insured retires or approaches old age, the insurance companies there have products that pay for their lodgings and the services they require. I hope this will catch on in Malaysia,” he says. However, Neoh cautions that annuities should not be the only means of retirement funding. “Annuities are more common in developed markets than in countries such as Malaysia. While there are merits for retirees to consider annuities as a means of ensuring the stability of their cash flow to fund their retirement needs, there are risks to relying solely on annuities as the only means of funding one’s retirement. “Some of the concerns raised are the lack of liquidity (Can you cancel your annuity and get back a fair value? ), low returns (Does it keep pace with the real rate of return? ), early death (What happens to the investment principal if the annuitant dies soon after setting up the annuity?) and costs (Are low-cost investment products more cost-efficient?). Jason Chong, chief investment officer and managing director at Manulife Asset Management Services Bhd, says as the market has been volatile the last couple of years, the company has launched new mandates to meet changing client needs. “We have put in a feature to give fund managers more flexibility to switch between equities, fixed income and cash. And if all hell breaks loose, they can hold cash. In the past, funds were benchmarked against an index. As a fund manager, your key performance indicator is to outperform the benchmark,” he says. Chong says this impacts retirement planning as financial planners need to get their clients to adjust their expectations. “The most important point is that investors need to accept that returns are going to be lower going forward. Gone are the days when you could expect your [local] funds to give a return of 10% to 12% per annum consistently. Investors could consider alternative assets as a diversification tool. Chong says Manulife is ahead of the curve and has long invested in alternative investments in areas such as agriculture.